Nurse anesthetists, also known as certified registered nurse anesthetists (CRNAs), are one of four classifications of advanced practice nurses (APNs). They are registered nurses (RNs) with advanced training in anesthesiology. They are responsible for administering, supervising, and monitoring anesthesia-related care for patients under­going surgical procedures. General anesthesia is not necessary for all surgical procedures; therefore, nurse anesthetists also work on cases in which they provide various types of local anesthesia—topical, infiltration, nerve-block, spinal, and epidural or caudal. There are approximately 32,500 CRNAs working in the United States. Reliable methods of putting a patient to sleep were first developed in the 1840s, when the discovery of ether anes­thesia revolutionized surgery. Before that time, when sur­gery offered the only possible chance of saving a person’s life, all that the surgeon could do was give alcohol or opium to deaden the pain. Similarly, mandrake, hemp, and herbane may have been given orally, or by inhalation, during childbirth. The first nurse anesthetist was Sister Mary Bernard, who practiced in Pennsylvania in the 1870s. The first school of nurse anesthetists was founded in 1909 at St. Vincent Hospital in Portland, Oregon. Since then, many schools have been established, and the nurse anesthesia specialty was formally created on June 17, 1931, when the American Association of Nurse Anesthetists held its first meeting. Contemporary anesthesiology is far more compli­cated and much more effective than in the early days when an ether- or chloroform-soaked cloth or sponge was held up to the patient’s face. Today, a combination of several modern-day anesthetic agents is usually used to anesthetize the patient. According to the American Association of Nurse Anes­thetists, approximately 26 million anesthetic procedures are carried out annually in U.S. medical facilities, and 65 percent of these are administered by nurse anesthetists. In approximately 66 percent of rural hospitals, nurse anesthetists are the only anesthesia providers. Nurse anesthetists are clearly important members of health care teams across the country. Prior to surgery, a nurse anesthetist takes the patient’s history, evaluates his or her anesthesia needs, and forms a plan for the best possible management of the case (often in consul­tation with an anesthesiologist). The nurse anesthetist also explains the planned procedures to the patient and answers questions the patient might have. Prior to the operation, the nurse anesthetist administers an intrave­nous (IV) sedative to relax the patient. Then the nurse anesthetist administers a combination of drugs to estab­lish and maintain the patient in a controlled state of unconsciousness, insensibility to pain, and muscular relaxation. Some general anesthetics are administered by inhalation through a mask and tube, and others are administered intravenously. Because the muscular relax-ants prevent patients from breathing on their own, the nurse anesthetist has to provide artificial respiration through a tube inserted into the windpipe. Throughout the surgery, the nurse anesthetist monitors the patient’s vital signs by watching the video and digital displays. The nurse anesthetist is also responsible for maintaining the patient’s blood, water, and salt levels as well as continually readjusting the flow of anesthetics and other medications to ensure optimal results. After surgery, nurse anesthe­tists monitor the patient’s return to consciousness and watch for complications. 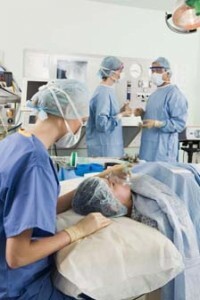 The nurse anesthetists must be skilled in the use of airways, ventilators, IVs, blood- and fluid-replacement techniques, and postoperative pain management. If you want to become a nurse anesthetist, you will first need to become a registered nurse. To prepare for this career, you should take high school mathematics and sci­ence courses, including biology, chemistry, and physics. Health courses will also be helpful. English and speech courses should not be neglected because you must be able to communicate well with patients. All applicants to nurse anesthetist programs must be reg­istered nurses with a bachelor’s degree and have at least one year’s acute care nursing experience. The Council of Accreditation of Nurse Anesthesia Educational Pro­grams recognizes 100 nurse anesthesia programs. 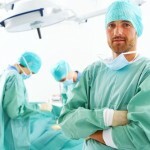 The American Association of Nurse Anesthetists provides a listing of these programs at its Web site, http://www.aana.com/. Admission is competitive, and programs last 24 to 36 months. All accredited programs offer at least a master’s degree, and some offer a post-master’s certificate or a doctorate. Students take exten­sive classes in pharmacology and the sciences. They also acquire hundreds of hours of anesthe­sia-related clinical experience in surgery and obstetrics. All registered nurses must be licensed to practice in the United States. In addition, nurse anes­thetists are required to pass a national certification exam given by the Council on Certification of Nurse Anesthetists. All states recognize certified registered nurse anesthetist (CRNA) sta­tus. Certified nurse anesthetists are not required to work under the supervision of an anesthesi­ologist, although some licensing laws do stipulate that they must work with a physician. CRNAs must be recertified every two years according to the criteria established by the Coun­cil on Recertification of Nurse Anesthetists. 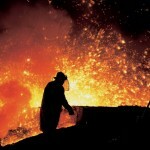 Part of this requirement includes earning 40 continuing education credits every two years. The American Society of PeriAnesthesia Nurses also offers a certification program. Nurse anesthetists must have the ability to concentrate for long periods of time and remain focused on moni­toring their patient during surgery. They must be able to analyze problems accurately and swiftly, make decisions quickly, and react appropriately. They must have the abil­ity to remain calm during emergencies and be able to handle stressful situations. Nurse anesthetists also need to have efficient time management skills in order to work efficiently with sur­geons and their operating schedules. Books, nursing association Web sites, and informational interviews with nurses will provide you with more infor­mation about nursing careers. You can also learn more about nurse anesthetists by visiting the Becoming a CRNA page of the AANA Web site. The U.S. Department of Health and Human Services reports there are more than 32,500 CRNAs working in the United States. Many nurse anesthetists are employed by hospitals or outpatient surgery centers. Dentists, podiatrists, ophthalmologists, plastic surgeons, and pain management specialists also employ them. Others may be employed in a group or independent practice that provides services to hos­pitals and other health care centers on a contract basis. Some work for rural hospitals, the U.S. Public Health Services, the Department of Veterans Affairs, and the U.S. military. Because the high-quality, cost-effective anesthesia service provided by nurse anesthetists is widely acknowledged, health care institutions are eager to employ them. Nurse anesthetists may apply for employment directly to hospitals, outpatient surgery centers, and govern­ment agencies that hire nurses. Jobs can also be obtained through school placement offices, by signing up with employment agencies specializing in placement of nurs­ing personnel, or through the state employment office. Other sources of jobs include nurses’ associations, pro­fessional journals, and newspaper want ads. Nurse anesthetists who want new professional chal­lenges beyond direct practice might consider teaching or administrative positions or involvement in research for improved or specialized anesthesia equipment and procedures. Some nurse anesthetists choose to acquire other advanced-practice nursing qualifications so they can be involved in a wider range of nursing activities. Doctoral programs for nurse anesthetists are expected to expand in the near future. Nurse anesthetists are among the highest paid nurs­ing specialists. Earnings vary based on type and size of employer, years of experience, and location, among other factors. The National Institutes of Health, for example, pays certified registered nurse anesthetists at a special GS-12 and GS-13 pay scale. At this special GS-12 rate, salaries started at $86,747, and GS-13 salaries started at $103,160 in 2005. The top level of pay for this special GS-13 rate was $122,501, also in 2005. CRNAs working in the private sector frequently have earnings that are higher than these figures. For example, Salary.com reports that the national median earnings for certified nurse anesthe­tists in 2006 were $128,127 with the highest paid earn­ing $137,635, annually. For a specific example, consider a CRNA position advertised in 2006 with Professional Recruiting Partners LLC, a placement service for health care professionals. The CRNA job was in Illinois, and the advertised salary range was from $100,000 to $150,000, depending on the candidate’s experience. Fringe benefits are usually similar to other full-time health care workers and may include sick leave, vacation, health and life insurance, and tuition assistance. Nurse anesthetists usually work in sterile, well-lighted operating facilities. They spend considerable time on their feet and may be required to stand for many hours at a time. Emergencies can produce a stressful and fast-paced environment. Many nurse anesthetists must be on call, usually on a rotation basis, to respond to emergency surgical situations. The American Association of Nurse Anesthetists pre­dicts a bright future for CRNAs. In addition, the U.S. Department of Labor projects employment for all reg­istered nurses to grow much faster than the average through 2014. Strong demand for CRNAs will result from several factors. For example, there is currently a shortage of CRNAs in the marketplace. Also, with the continuing trend of cutting costs in all health care facili­ties, CRNAs will be in demand to provide an alternative to hiring high-priced anesthesiologists. The increased use of managed health care services and the aging pop­ulation will also result in a need for additional nurse anesthetists.